You have to bake the pumpkin after removing the seeds. After the cooking, you have to remove the skin and then squeeze it in a cloth to drain the juice. Make the amaretti into powder and grate the Parmigiano with the lemon skin. Add a pinch of salt and process to obtain a uniform filling. For the rest of the recipe, you can use the same of “Tortelli d’erbetta”. Tortelli d’erbetta, one of the first courses which are the most loved in the Parma tradition. 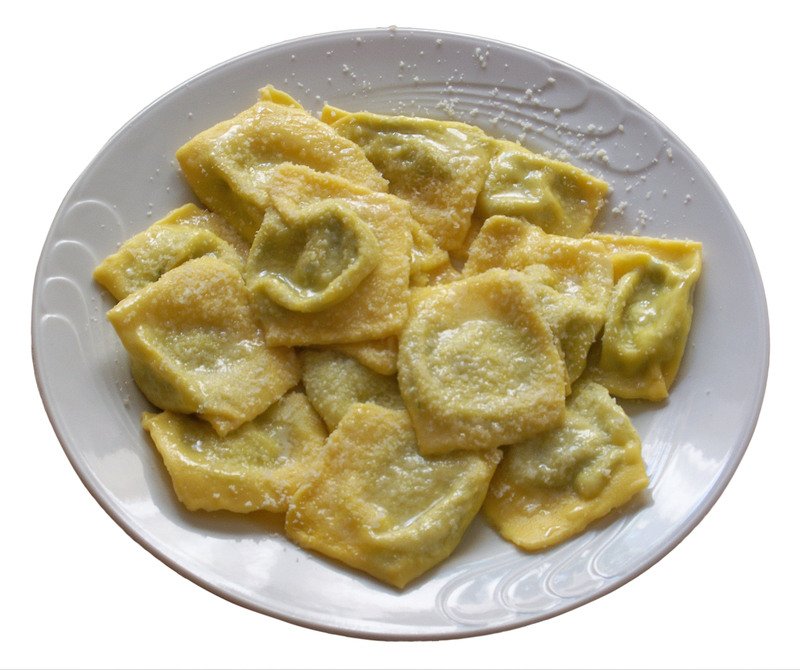 This is the traditional recipe of my family of Tortelli d’erbetta. It is a dish loved by people from Parma and they prepare it during the holiday days. Parmigiano-Reggiano is a must.